my inception into office in 2006, nobody has operated on this account again. that if i do not Remit this money out urgently. with further details upon your reply God bless. Thanks for your interest to handle this transaction with me. This transaction has two main steps. Step 1 = The change of ownership of the new owner of the money to your name and the legalization and authentication of the documents in Law. 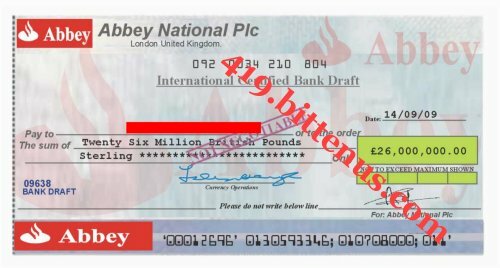 By this, I will officially hire an international lawyer on your behalf, since you are not here in UK, the lawyer will be protecting your interest in the bank until the bank approves the funds for transfer into your account. Immediately the bank approves the funds and transfer into your account i will personally come to your country for investment because i will like to do a joint business investment with you in your country as you will direct. Step 2. = The payment approval and the payment itself. This is the final stage and the money will be ours. However, I need some further information from you. Your Full Name, Your Age, Occupation, marital status, Your Contact Phone Number, and your Bank account details where the funds will be transfered into. Please make sure you send to us your contact home address. As i indicated my own below. If I have all these by tomorrow, I will finish the step 1 within four days and I will send you copies of the legalized documents in your name. On my own side, I am an accountant by profession, 55 years of age and married with 4 children. You can use this number to reach me on the phone: +44 7045735751, as soon as i hear from you, i will send to you copy of my international passport for you to know why you are doing business transaction with. Home address: Flat 3, 138 brixton rd sw9, United Kingdom. Today the United Kingdom Probate Registry has grant you the sole beneficiary to the fund, and attached is the copy of the certificate issued on your behalf today. Please make sure you go through the document and keep it confidential. Sending the draft through email for you to see is against my profession, Am not suppose to open the parcel but since you insisted to see your draft then there is no problem, attached is the photocopy of the draft, go through it and keep it confidential until you receive the hard copy of it for your payment. What I need from you now is your full address, copy of your passport and $315, for the sending of the parcel to you through DHL. 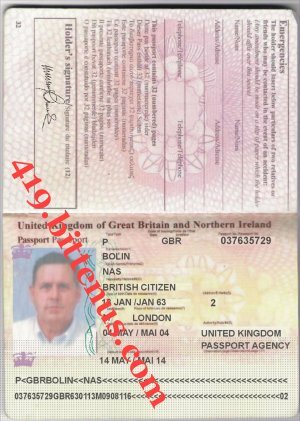 Thanks for your mail, attached is the copy of my internatonal passport, please keep it safe because it is my personal property. The lawyer told me that is likely that the bank will approve the fund tomorrow, that means we will conclude our transaction by this coming week, so please you have to find a very good investment in your country where we will invest the funds, and as soon as you receive the funds into your account i will come down to your country for our investments. This is to bring to your noticed that the bank have finally approve the fund to be transfered into your account in your country, attached is the payment approval. Below is our procedure to ensure a safty and smooth transfer. In a transfer like this that involved a huge amount of fund, the clearance and other necessary tax must be clear before the transfer will be effective into your account. Find below and make sure you clear it and every payment must go through your attorney Barrister Harrison Burner. You are required to make the above payment through your attorney, before One Week from now. After you have clear the above, the bank will transfer your fund within 3 bank working days. The draft is a non-negotiable and it is am International Certified Bank Draft, which means it can be cash in any of the bank, as long as the beneficiary has an existing account with the said bank in his country. The only thing you will do, when you receive the draft is that you have to deposit the draft in your bank for confirmation and it will clear in 3 bank working days. Or if you want us to create an existing account in our branch here and deposit the draft for clarifications, the bank will required an account opening fee which is about a thousand dollar. Now the choice is yours, is either you send to me the $315 to enable me send the draft to you, or you will write an application letter with a thousand dollar and send it to me for creating of a new account.